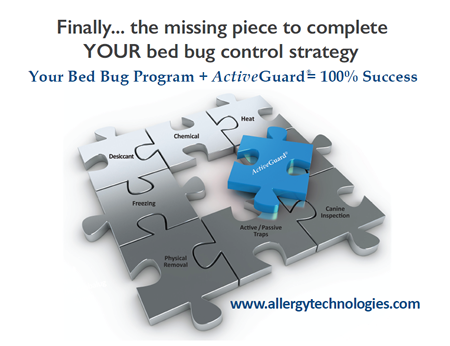 ActiveGuard® may likely be the missing piece in your bed bug prevention and control program. 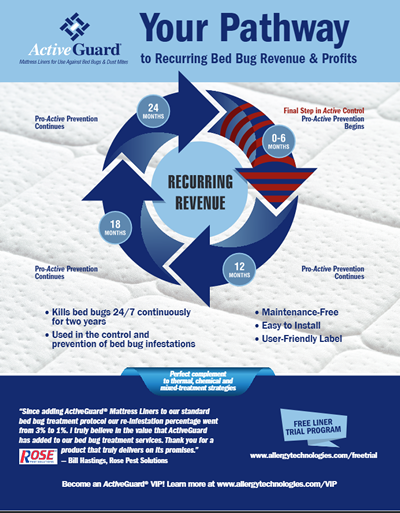 Our mattress liners perfectly compliment every bed bug treatment program. 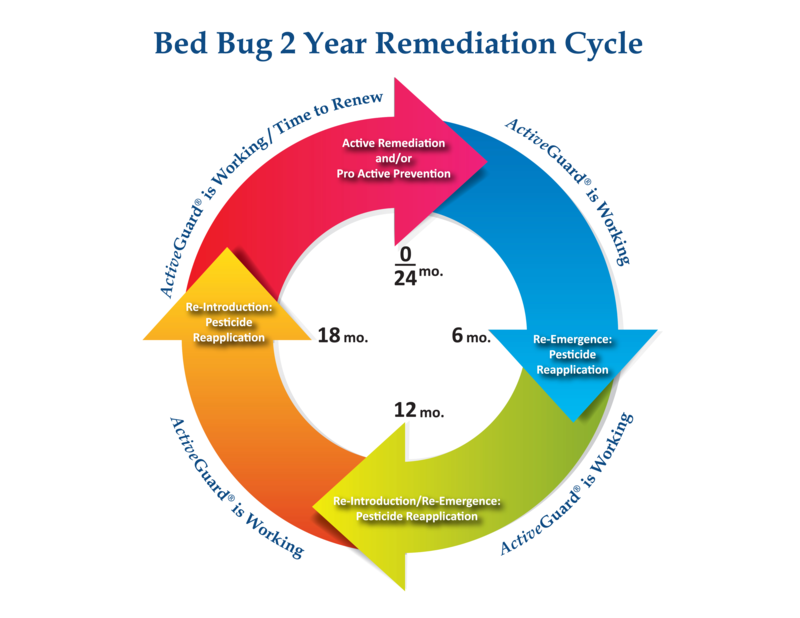 ActiveGuard® Mattress Liners continue working for 2 years to control and prevent bed bugs that were missed during treatment or have been re-introduced. 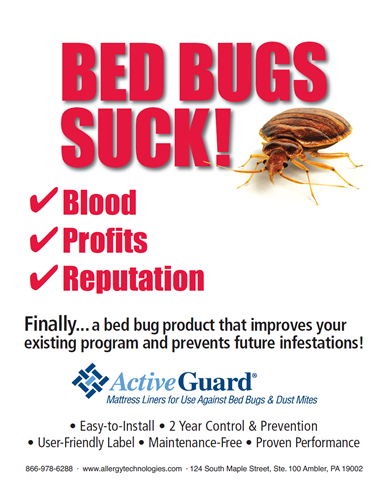 Now Pest Management Professionals can offer a 2 year bed bug prevention and control program with ActiveGuard® Mattress Liners AND enjoy renewable profits. 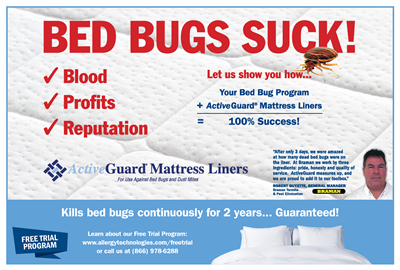 ActiveGuard® Mattress Liners are in Braman Termite & Pest Elimination's toolbox and are the perfect addition to any pest management professional's bed bug prevention and control program. 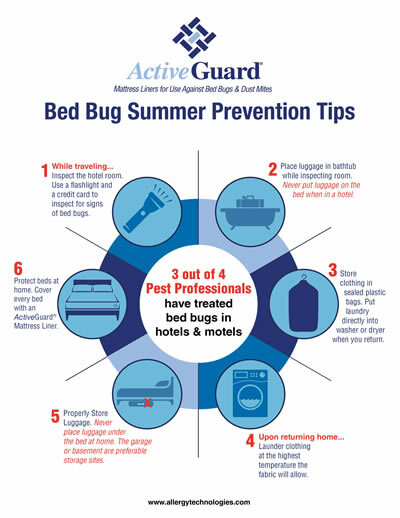 Shouldn't they be in yours?